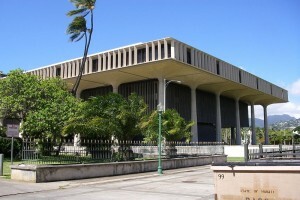 Hawai’i State Legislature file photo. The Hawai‘i House of Representatives passed 131 bills on third reading on Friday, March 2, 2018, moving them to the Senate for their consideration. The bills include housing, homelessness, education, health, the environment, public safety, governmental affairs, the environment and other important issues. HB2281 Establishes within the Department of Human Services an Ohana Zones program to provide housing to homeless individuals and families based on principles similar to Housing First and appropriates unspecified funds for the program. HB2753 Establishes the Ohana Zone Pilot Program. Defines the intent of the pilot program, and sets preliminary milestones that shall be met by the Department of Human Services, Homeless Programs Office in establishing the pilot program. HB2472 Specifies that certain provisions of the Internal Revenue Code related to at-risk rules and deductions and to passive activity loss do not apply with respect to claims for the state low-income housing tax credit. HB2703 (1) Allocates a portion of the conveyance tax revenues to the rental assistance revolving fund to be used to subsidize rents for persons who meet certain income requirements; (2) Increases the income tax credit for low-income household renters to an unspecified amount; and (3) Makes the state earned income tax credit refundable and changes the amount of the credit to an unspecified percentage of the federal earned income tax credit. HB2744 Appropriates funds to provide additional rent supplement subsidies. HB2745 Expands the rental assistance program by increasing the minimum percentage of affordable units a rental housing project is required to maintain for eligible tenants from 20% to 30%. Appropriates funds to support new rental assistance program contracts. HB1727 Requires employers to provide a minimum amount of paid sick leave to employees to be used to care for themselves or a family member who is ill or needs medical care, or due to a public health emergency. Gives employers flexibility to offer paid sick leave to minimum wage and other employees or to pay minimum wage employees a salary that is more than the minimum wage. HB1720 Allows for a state income tax deduction for teacher supplies purchased for use in the classroom and for professional development courses; provided that the teacher obtains a written certification from the Department of Education. HB1911 Requires home care agencies to be licensed or certified. Authorizes the Department of Health to inspect home care agencies. Requires the Department of Health to establish a home care aid registry. Authorizes the Department of Health to establish procedures for the receipt, investigation, and resolution of complaints against home care agencies. Authorizes the Department of Health to enter a care facility when investigating a facility or home. Allows the Department of Health to establish a forum where state-licensed care facilities may post job vacancies. Imposes criminal penalty for the intentional operation of a community-based foster family home, adult foster family home, adult day care center, or home care agency without a license. Requires the Department of Health to establish a working group to discuss and provide feedback for the implementation of the job vacancy forum. HB2611 Appropriates moneys for Department of Health to fund substance abuse treatment programs relating to persons with multiple chronic conditions, a centralized referral system, case management programs, and a peer mentoring or coaching program. HB2208 Requires association health plan policies to comply with the laws of this State regardless of the association’s domicile. Enables certain voluntary associations, including employer associations that issue association health plans, to qualify for authorization to transact insurance in the State. HB2128 Requires that health insurance policies include coverage for clinical victim support services for victims of sexual violence and abuse who suffer from mental disorders. HB2729 Amends the reciprocity program and adds a visiting patient certifying fee. Extends expiration of a written certification to three years for chronic conditions. Permits retesting of a failed batch of medical cannabis or products. Permits dispensary licensees to distribute devices that provide safe pulmonary administration. Increases the maximum allowable tetrahydro cannibinol limit for multi-pack cannabis products and single containers of oil. HB1614 Automatically imposes a restraining order upon parties filing for annulment, divorce, or separation to preserve the financial assets of the parties and their dependents and maintain the current island of residence and school of enrollment of a minor child of the parties. HB2131 Creates a Hawaii Sexual Assault Response and Training Program to address the manner in which sexual assault evidence collection kits are processed and tracked, and to ensure that victims of sexual assault are informed of their rights under the law. HB2200 Allows an employer to seek a temporary restraining order and injunction against further harassment of an employee or invitee who may be harassed at the employer’s premises or worksite, provided that the provisions do not apply to the Department of Labor and Industrial Relations or any of its employees with investigatory duties and responsibilities. HB2169 Appropriates moneys for youth suicide early intervention, prevention, and education initiatives in Maui county. HB1656 Increases the amount of the fine that may be assessed against a noncandidate committee making only independent expenditures for campaign spending violations. Allows the Campaign Spending Commission to order that a fine assessed against a noncandidate committee, or any portion thereof, be paid from the personal funds of officers of the noncandidate committee. HB2541 Enacts voting by mail uniformly across all counties for all elections commencing in 2020, and allows any election to be conducted by mail prior to the 2020 primary election. HB1799 Allows only nonprofit corporations to be recipients of grants in aid appropriated by the Legislature under Chapter 42F, Hawaii Revised Statutes. HB 2728 Establishes a Clean Transportation Initiative to reduce and ultimately eliminate the use of fossil fuels in all public ground transportation by 2035. Click here for a list of all bills passed by the House of Representative so far this session. The Aloha United Way, with the help of sponsors, Hawai‘i Community Foundation, Bank of Hawai‘i, Hawai‘i Community Foundation and Kamehameha Schools, released its United Way Asset Limited, Income Constrained, Employed (ALICE) Report – Hawai‘i, during a press conference at the state Capitol on O‘ahu. The press conference was attended by top business executives and state Department of Health Director Virginia Pressler. The ALICE report press conference was attended by top business executives and state Department of Health Director Virginia Pressler. Courtesy photo. ALICE represents hardworking people that interact with others every day, the report disclosed. They are the people of our community who are child care providers, wait staff, cashiers, teaching assistants and others that work one, two or even three jobs yet still remain only one crisis away from being at greater risk of chronic health issues or loss of housing. ALICE have income above the federal poverty level, but not enough to afford basic necessities including housing, child care, food, transportation and health care. In Hawai‘i, there are 165,013 ALICE households (37% of total households) while another 47,066 households, (11% of total households), live below the federal poverty level. 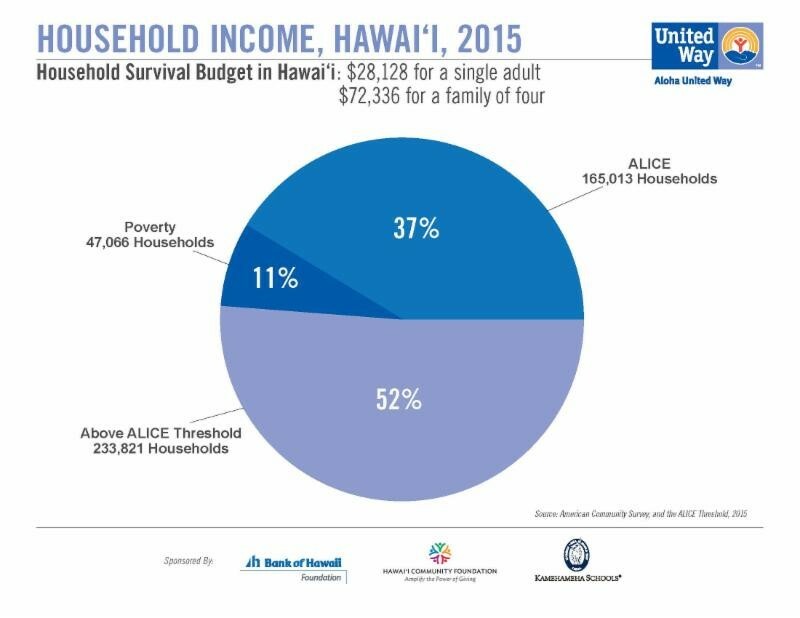 In total, 48% of Hawai‘i households are ALICE and below. Everyone was ALICE, is ALICE, or knows ALICE. ALICE is a vital part of our community. When ALICE struggles we are all impacted, the report said. The consequences to the community are increased healthcare and infrastructure costs, increased employee absenteeism, higher insurance premiums, reduced economic productivity and much more. This report is a call to action to inform statewide policy, philanthropy and allocation of resources. 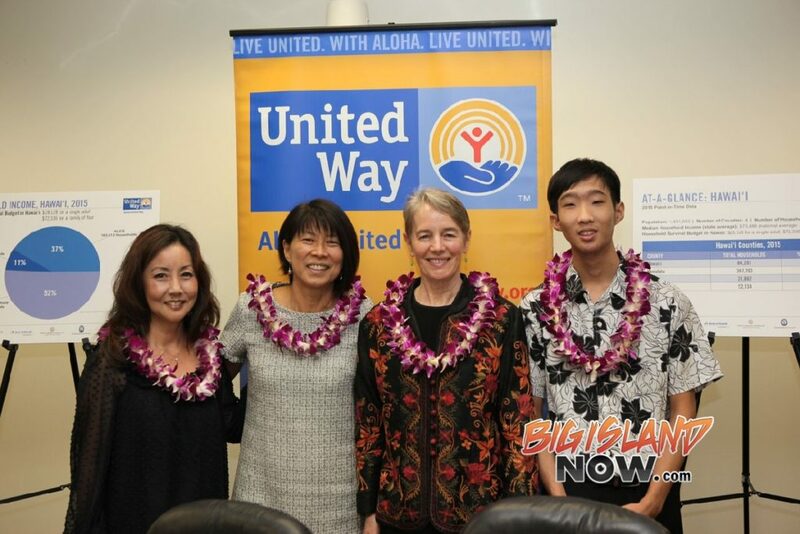 For more information and to view of a copy of the full report, visit Aloha United Way. The County of Hawai’i is displaying a portable shelter on its lawn this week as a way of raising awareness of the need to join hands to help the homeless of our community. The 20-foot diameter fiberglass dome was loaned to the County by the First Assembly of God in Moanalua on O‘ahu following a faith-based summit to address family homelessness in Hawai‘i on Wednesday. The congregation led by Pastor Daniel Kaneshiro shipped the dome at its own expense to Hilo for the summit, and is lending it to the County to display for a week. The dome is one of 10 that the O‘ahu congregation uses to house homeless families on its church property. County Public Works crews on Thursday assembled the dome, which is a series of interlocking panels complete with windows, on a platform within an hour and a half. The County is working on a comprehensive, multi-pronged plan that addresses not only houselessness, but also mental health issues, workforce development, health and hygiene, financial literacy and education in an effort to tackle the many causes of homelessness. A broad coalition of the County, State, churches, non-profits, businesses, and other concerned citizens is rallying to help. The ultimate goal is to graduate the people who are helped into affordable housing, jobs and a better future. Dome developer Captain Don Kubley of Juneau, Alaska, was on hand to explain that the dome can sleep a family of four, with 12-foot ceiling capable of accommodating a loft for sleeping or storage space. Kubley said that he is negotiating an order for 40,000 domes from FEMA, to house hurricane victims in Houston, Florida and Puerto Rico. The price per 20-foot diameter standard white unit for humanitarian purposes, with two windows and a door, is $9,500. The County of Hawai’i is joining hands with the State of Hawai’i, the faith-based community, non-profits, businesses and other concerned citizens to address the island’s homelessness crisis, Mayor Harry Kim said. The County is working collaboratively on a comprehensive program with the ultimate goal of transitioning homeless people of our island from temporary shelters to affordable housing and jobs. His remarks followed the 2nd Annual West Hawai’i Faith-Based Summit to End Family Homelessness in Kona on September 27. The event was a day-long gathering involving more than 20 West Hawai’i church congregations, numerous social service agencies, healthcare professionals, businesses, as well as State and County officials. Mayor Kim expressed deep gratitude for the commitment of assistance from the State of Hawai’i’s Homeless Coordinator, Scott Morishige, who attended the summit and stressed the need to maximize space and accelerate placement into shelters or transitional housing. Governor David Ige conveyed a special message of support for the event, stressing the need for collaboration to tackle the complicated issue of homelessness. “We appreciate so much the support that the State is giving us; they know this is crucial and that we need everybody’s help,” Mayor Kim said. According to Lance Niimi, the County’s Homeless Coordinator there are approximately 913 homeless people islandwide, with about 379 individuals in families living without a home. Niimi helped spearhead Camp Kikaha, a temporary Safe Zone encampment in Kona which houses about 30 people since its opening in May. WHEREAS, Chapter 127A Hawaii Revised Statutes, provides for the establishment of County organizations for emergency management and disaster relief with the Mayor having direct responsibility and authority over emergency management within the County. WHEREAS, due to the possibility of threat to the environment and public health to residents of the District of South and North Kona, Hawaii Island, and the need for government agencies and representatives from the private sector to mobilize and provide immediate services to our island residents, a state of emergency is authorized pursuant to Chapter 127A Hawai’ i Revised Statutes, and Chapter 7, Hawaii County Code. NOW, THEREFORE, I, HARRY KIM, Mayor of the County of Hawai’ i, do hereby proclaim and declare that an emergency contemplated by section 127A- 14, Hawaii Revised Statutes has occurred in the County of Hawai’ i and hereby proclaim an emergency for the purposes of implementing the emergency management functions as allowed by law, effective August 1, 2017, and continuing thereon for 60 days or until further act by this office. IN WITNESS WHEREOF, I have hereunto set my hand and caused the Seal of the County of Hawaii to be affixed. Done this 1st day of August, 2017 in Hilo, Hawai’ i.
Homelessness and inadequate housing are major causes of unnecessary hospitalizations, according to a study by University of Hawai‘i researchers. Several major health providers in Hawaiʻi have recently created innovative new programs to address social determinants, including housing, within the health-care setting to improve health-care quality and reduce health-care costs. This research strongly supports these efforts. Quensell is a 2015 graduate of the Health Policy and Management programs within Public Health. Other investigators included Kathryn Braun from Public Health; Deborah Taira at the Daniel K. Inouye College of Pharmacy, University of Hawai’i at Hilo; and Todd Seto at the Queen’s Medical Center. Gov. David Ige announced today that the homeless population across the state decreased for the first time in eight years. The annual Point in Time count—a census of people experiencing homelessness—showed a nine percent overall decrease in the number of homeless individuals across the state. This year’s count found 7,220 homeless individuals across Hawai‘i compared to 7,921 in 2016. Hawai‘i County saw the largest decline in homeless individuals – a 32 percent decrease. “We have partnered with every mayor in every county, along with the private sector and service providers. We’ve had housing summits to identify the benefits of renting to the homeless. We have service providers to provide supportive care so that we can place families in permanent housing. It’s terrific news that homelessness is down 32 percent on Hawai‘i Island,” Gov. Ige said. Maui County saw a 22 percent decline in homeless individuals and Kaua‘i County experienced a seven percent drop compared to 2016. O‘ahu saw a half percent increase in homeless individuals. A link to the overview of Point in Time’s full report, compiled by Hawai‘i’s two Continuums of Care—Bridging the Gap and Partners in Care—can be found on the governor’s website at governor.hawaii.gov. Following six months of outreach to homeless individuals living on the slopes of Hawai’i’s iconic Diamond Head, crews from the DLNR Divisions of State Parks and Conservation and Resources Enforcement (DOCARE), along with a private rubbish contractor removed tons of debris from illegal camps within Diamond Head State Monument. They were joined by state outreach representatives. “We empathize with anyone in Hawaii who does not have a home, and thank Governor Ige’s homelessness team for the work they are doing to find shelter for people who do not have it. State lands, though, are owned by all of Hawai‘i’s residents and cannot be used as a place for long-term camps,” said State Parks Administrator Curt Cottrell. Spread across the southeast flanks of Diamond Head, parks and outreach workers have found abandoned clothing, food containers, camping equipment, cans and bottles. As with all the previous visits to Diamond Head, a team of DOCARE officers participated today. As of 9 a.m. they’d issued six (6) citations for the violation of being in a closed area. DOCARE Enforcement Chief Robert Farrell commented, “Citing these people is the last step in this concerted effort to enforce park rules.” This is the third clean-up of illegal camps at Diamond Head State Monument. The State has identified at least 40 camps or rubbish locations on Diamond Head. So far today workers have filled two large roll-off bins with materials that had previously been tagged as trash or identified by campers as such. With a proven track record the coordinated statewide homeless initiative has already provided over an eight-month period, financial assistance to 1,279 households, thereby assisting 3,992 adults and children who were homeless or at risk of becoming homeless. Gov. David Ige announced the state Department of Human Services will award contracts to 33 homeless shelters. Funding will total $13,000,000 for 12 months. The new contracts require shelters to focus on outcome measures such as the number of people they will permanently house over the coming year. The results of the competitive bids show a net increase in state-funded homeless shelter beds, with 3,761 for the next year vs. 3,577 for last year. Additionally, the shelters are proposing to double the number of people they place in permanent housing from approximately 3,000 to 6,200. Contracts will be effective as of Feb. 1, 2017. All state-funded shelters will receive training by the Department of Human Service’s Homeless Programs Office. Representatives from social service agencies joined Mayor Billy Kenoi and Council Chair Dru Mamo Kanuha today for a ceremony to dedicate Hale Kīkaha, the County of Hawaiʻi’s newest housing project with 23 micro units to address a critical need in Kailua-Kona, particularly amongst the chronically homeless. Numbers of homeless are increasing statewide. The January 2016 point-in-time count showed nearly 1,400 homeless people on Hawaiʻi Island, an increase of 10% from 2015. Of those people, about 500 were unsheltered in West Hawaiʻi. The $2.5 million Hale Kīkaha is on Pāwai Place in Kailua-Kona’s industrial area, adjacent to the area’s emergency homeless shelter. Hale Kīkaha will provide on-site wraparound social services to residents to increase their chances of success. Kīkaha means to soar, and the name Hale Kīkaha represents the County’s hope for and commitment to the residents that will call the project home. Design and engineering work was done in-house. General contractor Kona-Kaʻū Construction and a number of sub-contractors completed the project in nine months. The County recognizes that housing is a primary need, especially in West Hawaiʻi. The County has worked to address homelessness through the nationally recognized best practice Housing First model with a number of projects during Mayor Kenoi’s administration. Recognizing the most immediate need, the County constructed the $1.8 million, 31-bed West Hawaiʻi Emergency Shelter and opened it in November 2010. The Homes of Ulu Wini provides 96 units for families, a mix of transitional housing and affordable rentals for families with low-moderate income, or no higher than 80% of the area median income. Construction of the $23.7 million project’s phases were completed throughout Mayor Kenoi’s administration. The Homes at Ulu Wini. Kamakoa Nui offers affordable home ownership to working families along the Kohala Coast. The Kenoi administration restarted a previous attempt to build workforce housing in Waikoloa Village, and the first families were welcomed into their homes in 2013. To date, all 91 lots at Kamakoa Nui have been sold and 69 homes have been built. Construction continues on the remaining homes, which include six participants in a self-help housing program by Habitat for Humanity. Kamakoa Nui offers fee-simple home ownership to families between 100-140% of the area median income. In addition to County-built housing, the Office of Housing & Community Development administers programs to assist tenants renting existing housing. Over 2,000 people and families receive over $14 million in assistance every year through Tenant-Based Rental Assistance and the Housing Choice Voucher programs. “We are measured not by what we do for those who have the most, we are measured by what we do for those who have the least,” Mayor Kenoi said. Gov. David Y. Ige today signed a sixth supplemental proclamation on homelessness, which will remain in effect until Oct. 19. The supplemental proclamation provides 60 additional days in which to further expand the state’s collaborative efforts to house the most visible and chronic homeless individuals. In the past year, the proclamations have helped more than 4,800 people — representing 1,353 families — move out of homelessness or prevent it altogether. “The tide is turning,” said the Governor’s Coordinator on Homelessness Scott Morishige. “Collectively, our state is moving forward with a unified strategy that addresses three levers of change: affordable housing, health & human services and public safety. All stakeholders are working together in unison across multiple sectors. This coordinated and persistent approach is moving people off the streets,” he said. A major priority for the Ige Administration is to increase affordable housing. The proclamations allowed for emergency housing of approximately 300 homeless individuals who were in jeopardy of being displaced after federal budget cuts to seven local organizations. Additionally, the proclamations reduced the development time of nine different joint projects with the counties by up to a year per project. These housing projects are specifically designed for homeless individuals and families, including the Family Assessment Center in Kaka`ako Makai, which will open in September and house 240 people per year. Today’s supplemental proclamation adds two additional City & County of Honolulu long-term housing projects, bringing the total to 11. The State Homeless Emergency Grant (SHEG) provides one-time assistance for housing, food, medical and other types of expenses arising from emergency needs. Housing Placement Program (HPP) provides first month’s rent or security deposit, as well as temporary case management, for homeless families with minor children. Coordinated Statewide Homeless Initiative (CSHI) provides homelessness prevention and Rapid Re-Housing statewide, and increases coordination for the statewide telephone navigation service (2-1-1) for homeless individuals. By enabling the quick execution of contracts and allocation of dedicated resources, the emergency proclamations supported the reduction in the number of unsheltered persons in the Kaka`ako Makai area. The population decreased from a high of approximately 300 unsheltered persons in August 2015 to approximately 50 unsheltered persons in August 2016. DHS Director Rachael Wong outlined the DHS multi-generation philosophy, entitled ‘Ohana Nui, which focuses on families and children. The Governor’s Coordinator on Homelessness, Scott Morishige, unveiled the state’s framework to address homelessness which is based on three levers of change: affordable housing, health and human services and public safety. “The $12M allocation is a natural extension of this framework,” he said. The first lever in the state’s framework is a high priority for legislators and the administration. Funding for this focus area is coming from separate budgets, but the $12M is helping to complement those efforts. There will be $6M in new funding for Rapid Re-Housing (or rental subsidies) and Housing First (an evidence-based program that houses and supports chronically homeless individuals suffering from severe mental health conditions, substance abuse or other issues). Half of the Housing First resources will go to neighbor islands. An additional $1.4M in funding will support the state’s Family Assessment Center being constructed in Kaka‘ako. This includes $500k for renovations and $900k for operating costs for two years. Public safety refers to keeping public places safe and open for everyone. Morishige emphasized that government has an obligation to respond to encampments on public land. Also, the state’s public safety protocol allows the state to properly address areas where it is unsafe for people to live. “This is not to criminalize homelessness,” Morishige said. “We want to connect people with shelter or housing, not just move them from place to place.” The budget sets aside $1.9M in new funding for state departments such as the Department of Transportation, Department of Land and Natural Resources, Public Safety Division and the Hawaii Community Development Authority for enforcement-related activities. In addition, $325,000 in new funding will be used for data collection and analysis. “We have to be able to measure progress,” Morishige said. There is also $350,000 in new funding for state-owned homeless shelter renovations and upgrades. The additional funding in service dollars reflects a nearly 60 percent increase. “This will address Hawaii’s most visible and chronic homeless population that we see on the streets and sidewalks,” Morishige said. Gov. David Y. Ige today signed a fifth supplemental proclamation on homelessness, which will remain in effect until August of this year. The supplemental proclamation provides an additional 60 days in which to continue the state’s cross-sector collaboration and coordinated efforts with the counties. The Maui Landlord Summit is the fourth in a series of state-supported events aimed at increasing government-assisted housing inventory. It serves to introduce potential landlords to homeless service providers and government agencies providing landlord support. The summit dispels misperceptions about Section 8 and the Housing First program, and is a collaborative effort between the State of Hawai‘i, County of Maui and Maui’s nonprofit service providers. Over the past week, representatives from the United States Interagency Council on Homelessness and the National Governors Association have been in Hawai‘i as the Governor’s office has convened cross-sector meetings with stakeholders from every county and every sector. The amount of homeless people in the entire state of Hawaii has come to a crisis level and is now affecting neighbor islands as well. A 30% increase in Homeless folks on the Big Island alone in the last couple years is just a small example of what is happening here in Hawaii. What do you suggest we do to help the homeless situation in Hawaii? A music video dedicated to Hawai’is homeless, with lyrics written by the Lana’i Class of 2020 and music by Matt Glickstein. To see more music videos like this and hear the album “Songs For a Better World” by Matt Glickstein and the Lana’i Class of 2020, please visit http://www.mattglickstein.com. There will also be a DVD available very soon featuring all of the music videos. The House Human Services chair, Rep. John Mizuno, announced today that the state and county (Honolulu) will not seek a “sweep” or “roundup” of the homeless in Waikiki prior to the Asia-Pacific Economic Cooperation Summit in November 2011. REPS. BROWER, MANAHAN, CABANILLA, MIZUNO, AWANA, AND COFFMAN AT THE LEGISLATIVE BRIEFING WITH MARC ALEXANDER - THE STATE HOMELESS COORDINATOR & BRIDGET PALMER HOLTHUS OF THE HONOLULU DEPT. OF COMMUNITY SERVICES. In November, Waikiki will be the center stage for the APEC Summit, before 21 APEC nations and 2,500 journalists. In an effort to avoid a possible sweep or roundup of homeless in preparation for APEC, the House Committees on Housing and Human Services held a legislative briefing today seeking to secure a plan for a safe zone for the homeless. During the briefing, Mufi Hannemann (former Mayor of Honolulu), representing the Hotel & Lodging Association, concurred with lawmakers that a “sweep” of homeless in the Waikiki area prior to APEC would look bad for Hawaii. Mr. Hannemann also pledged support by the hotel association to lawmakers and stakeholders in finding both a short-term and long-term solution to reducing homelessness. At the briefing, Marc Alexander, State Homeless Coordinator & Bridget Palmer Holthus, Deputy Director of the Honolulu Department of Community Services, both confirmed their focus in reducing homelessness was on 1) Affordable Housing, 2) Permanent Housing Solutions for homeless, and 3) Job Development.